There are plenty of estate planning/probate lawyers out there. So,…what makes me the right one for you? My clients come to me looking for answers dealing with issues of incapacity/incompetency/disability; after the death of a loved one for probate assistance; or to create their own Estate plan. I am someone who takes a real-life and holistic approach to my clients’ legal issues. No situation is the same for every client, and the legal services rendered to that client should not be generic or off the shelf. 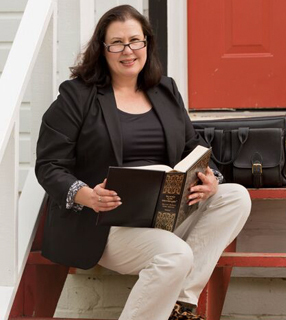 As you can tell from my website, I have chosen to deliver my legal services in a unique setting— in a renovated barn on a historic farm, owned by my husband and I. When clients are invited to my office, the setting is one that usually invites discussion. We get to know each other in a relaxed friendly setting, and I feel this makes the issues that we are dealing with more manageable. It is hard to discuss topics such as disability, death or planning for those situations—I totally understand. And I believe my setting helps people feel calm and peaceful, and allows us to have a very thorough and real discussion on difficult topics. Clients who are looking for a formal, high-rise, city lawyer are not going to be happy with my setup. My clients are looking for a trusted advisor, to whom they can relate in a personal, relaxed and friendly way, are going to enjoy working with me. Many of my clients enjoy coming to my office, because it is always a great day to see the farm! The personal relationship we develop helps ensure that the plan we craft together works for them and their families, and means my clients do not hesitate to reach out to me to discuss issues that are significant and may impact their plan. I think we build strong relationships, which is a great building block for a strong and vibrant estate plan. So, if you are looking to form a working relationship with a lawyer you can trust, respect and enjoy visiting, please schedule an appointment with me soon!